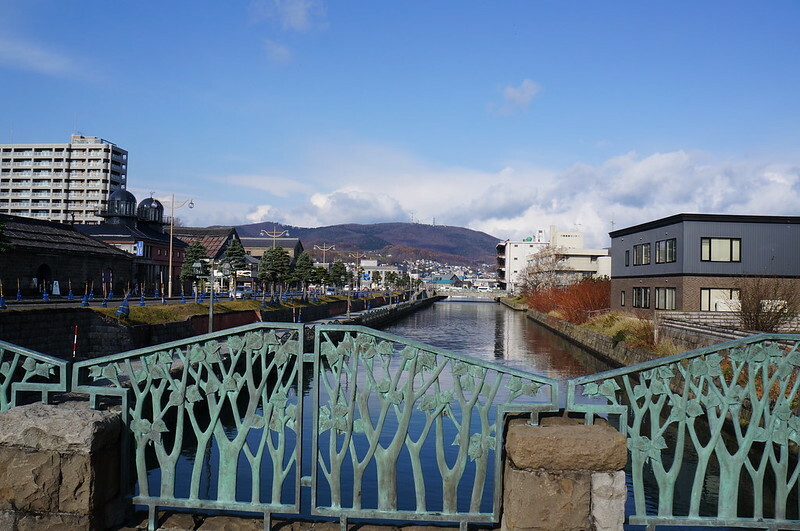 For my third day in Hokkaido, I went to Otaru (小樽市) , a small town that is 40 mins train ride from Sapporo. It's a town famous for musical boxes, glasses and sushi. Apart from the three things there isn't much to do in this town. There is a small fisherman's market near the train station but there are just so many places in this town I want to try, I chose to skip the market as there is a bigger fisherman's market in Sapporo. And I just had breakfast before heading to Otaru. 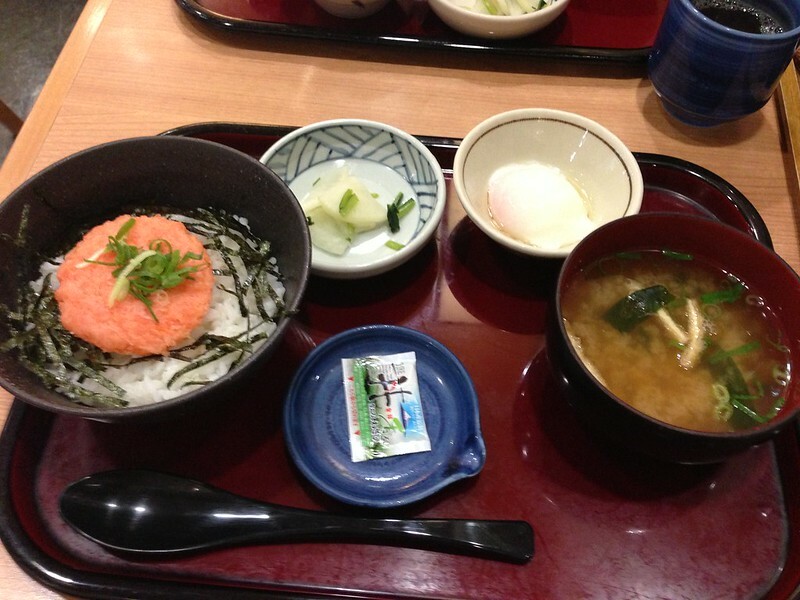 minced salmon rice set with onsen egg. Salmon is always the safest choice. You can't really go wrong with Salmon sashimi. 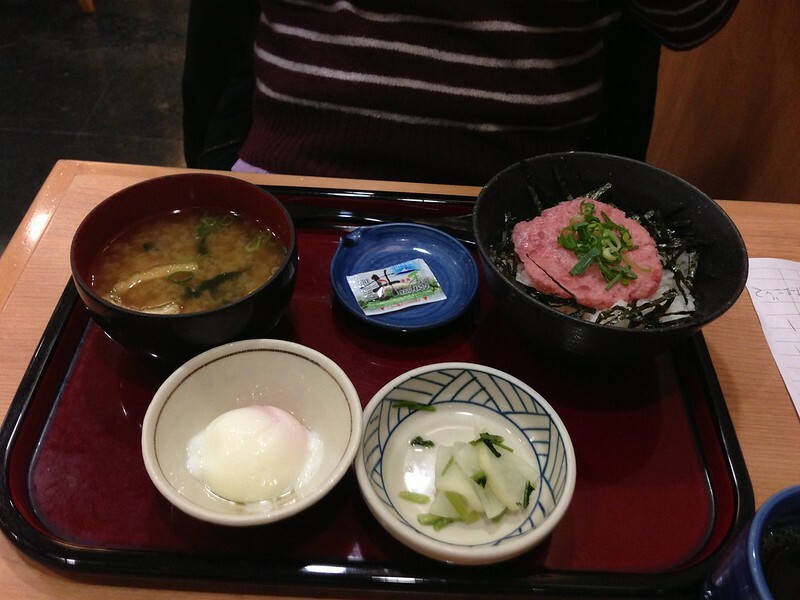 minced tuna rice set with onsen egg. Their tuna is a lot better than the tuna in Canada. I am very picky about my tuna. If it's a little fishy I can't eat it so basically there are only a handful of restaurants where I will have tuna in Toronto but I didn't have problem with any of the tuna in Japan. 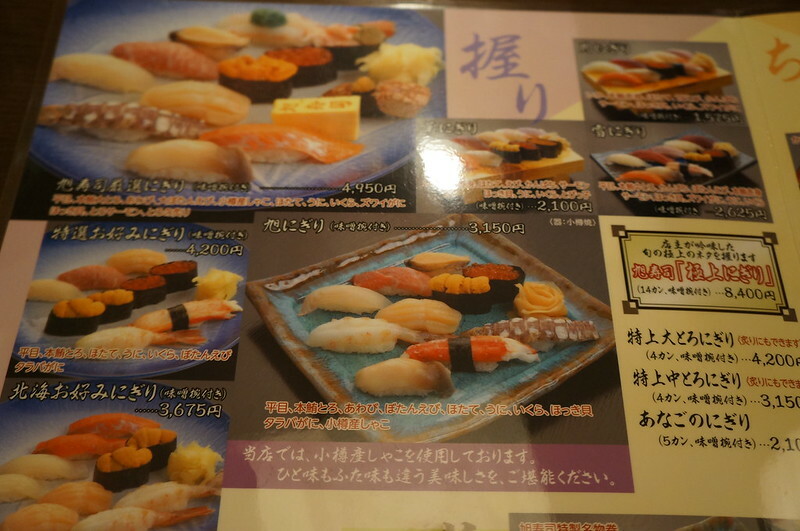 There are two very famous sushi restaurants in Otaru. 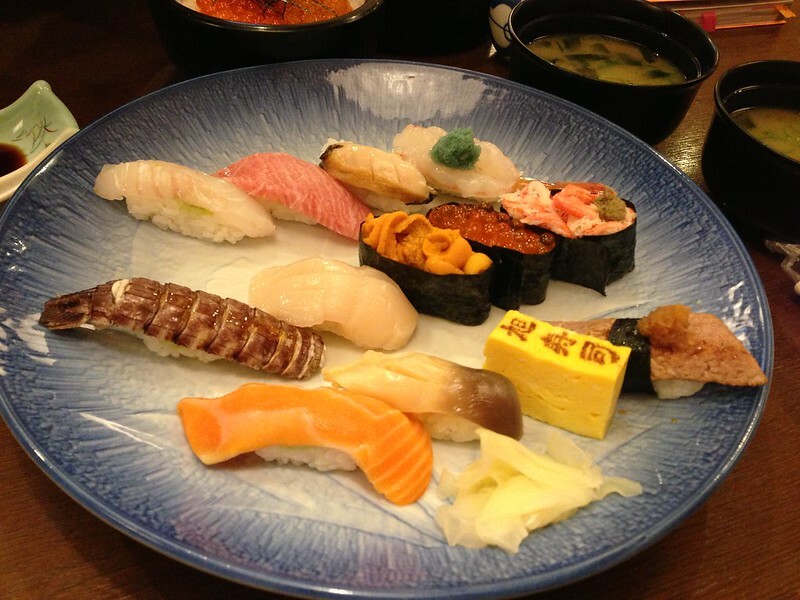 One being Mazasushi(政壽司) and the other is Asahi Otaru Sushi (旭壽司). Both are well recommended by people but from what I know Asahi offers better quality sashimi as they have rights to the fish before other sushi stores in Otaru. They serve as one of the fish brokers in the market. Another sushi restaurant I wanted to try was 握壽司 but it wasn't located in the "Sushi alley" and the map in my guidebook was wrong. They got the coordinates wrong so I was off by a few blocks so I had problem looking for that place. So in the end I only went to Asahi. 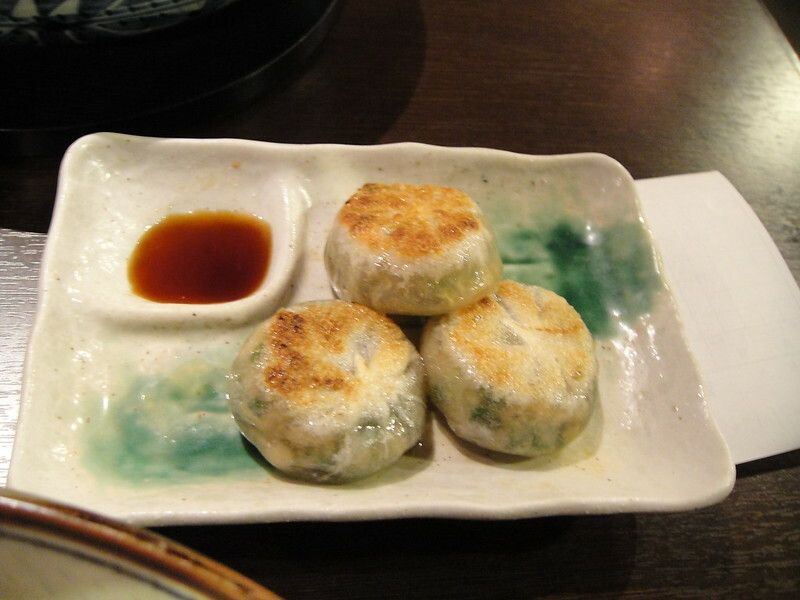 I do want to try Mazasushi but since it's also available in Tokyo, I would probably go try it when I'm in Tokyo. 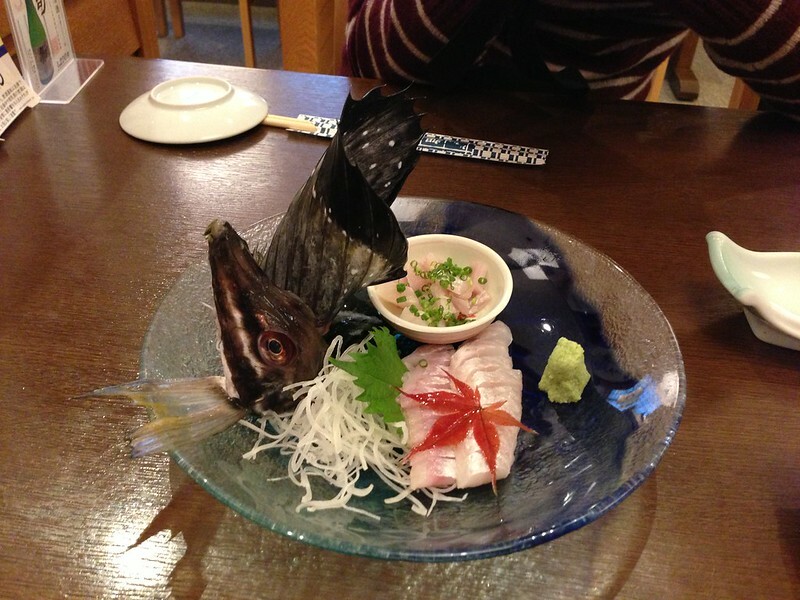 A local fish (八角魚)that could only be found in Otaru. It tasted very fresh and but I didn't find it sweet enough for my taste but it's wasn't that special. 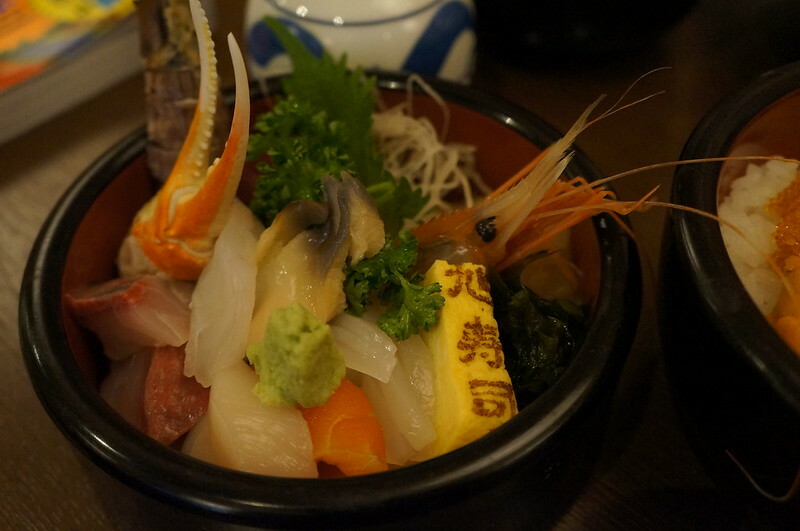 I wouldn't order it again next time I visit Otaru. According to my boyfriend all the sushi tasted amazing especially for the wagyu sushi and toro sushi. The only piece I tried was the crab leg (real crab leg, not the fake ones) sushi and I love it. Japanese crab tastes so good. I do love sushi but I love donburi more. The set I ordered is a much better deal than the one my boyfriend got. 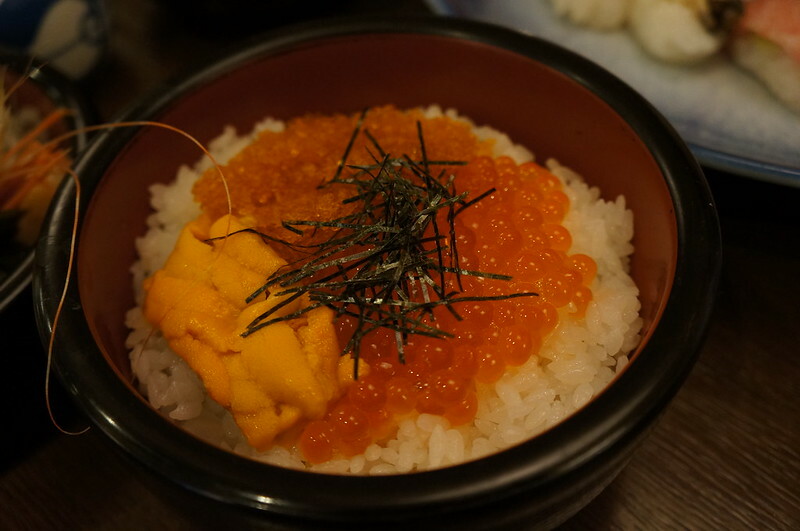 Uni, salmon roe and flying roe don. The only complaint is there wasn't enough uni. 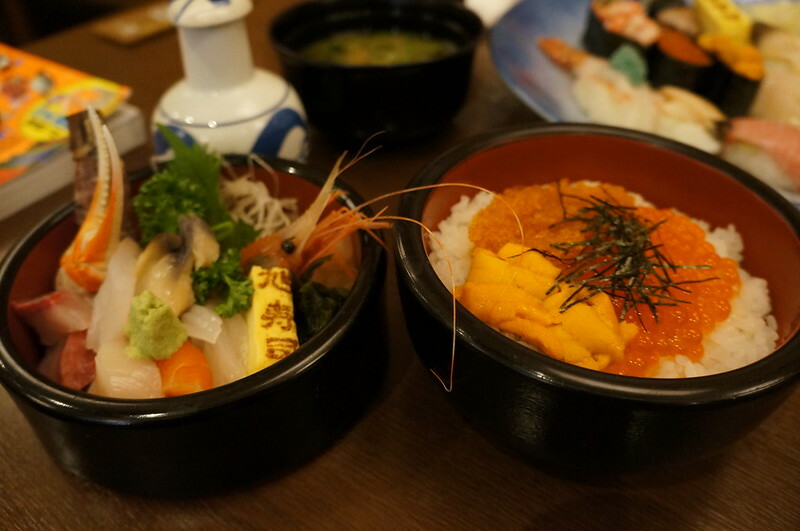 The uni was fresh, it tasted so much better than the ones in Canada. The salmon roe is very fresh and wasn't salty at all. All the salmon roe I tried in Canada were relatively salty probably because the salmon roe in Canada isn't as fresh as the ones in Otaru. My set also came with a bowl of assorted sashimi. They were all good. No complaints! Ice creams! 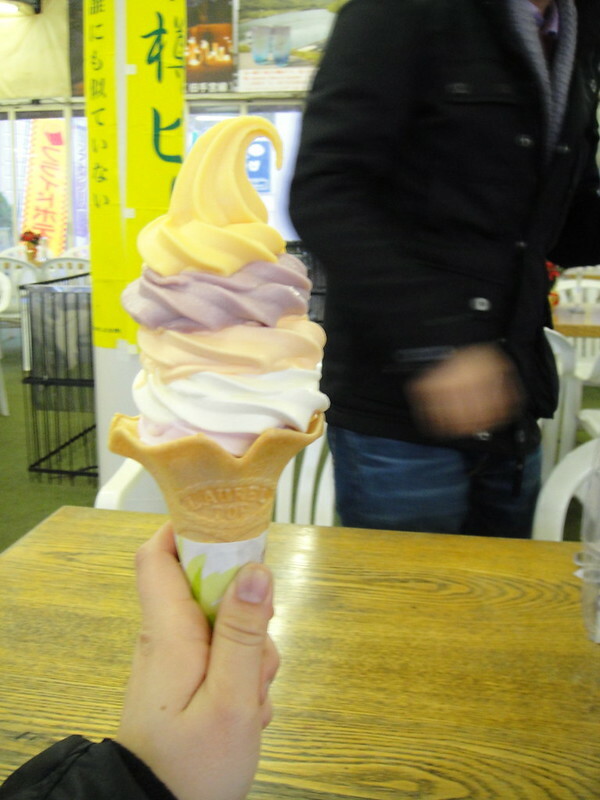 Can I say Japanese make better ice creams than North Americans. Their milk ice cream are creamy and yummy and not overly sweet. 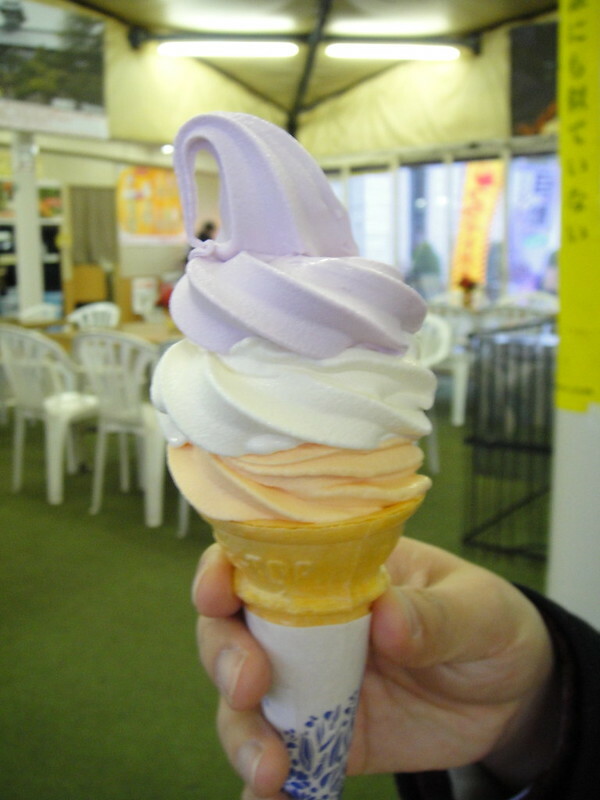 Lavender, milk and melon flavour ice cream. Mine had mango apple, grape, melon, milk and lavender flavour. The grape flavour tasted more like sherbet than ice cream. But others were very creamy. The lavender flavour tasted better than I expected. I didn't know what to expect from a lavender ice cream. There was an ice cream store that I couldn't find. They serve 28 flavours of ice cream including uni and squid ink ice cream. I'm curious I actually wanted to try out the uni and squid ink flavour ice creams. 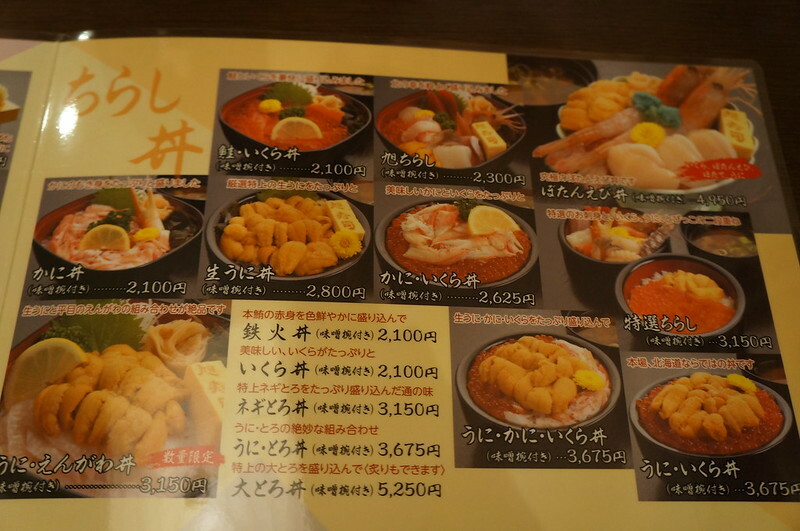 Otaru is also the home to a very famous dessert place. 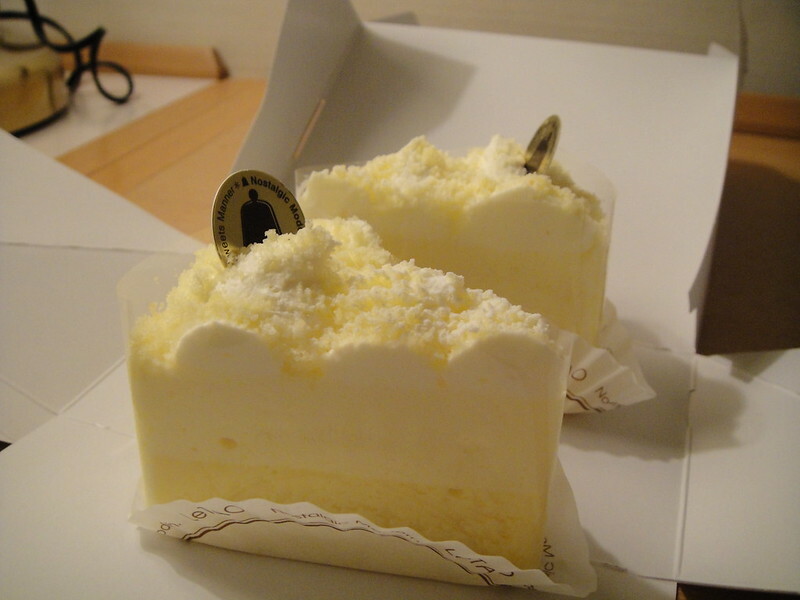 LeTao is from Otaru and they make different kinds of cakes and sweets. I don't like cheesecakes but I do love the cheesecake from LeTao. A few of my friends call their Double Fromage cheesecake the best cheesecake in the world. I do admit it's the best cheesecake I've ever tried. I had three slices during my trip. There were so much to do in Otaru by the time I got to LeTao their cafe was already closed and I wanted to try their cakes so badly I ordered takeout and brought it back to Sapporo with me. Since I bought dessert so had to head back to Sapporo early for dinner. Double Fromage cheesecake from LeTao. Best cheesecake ever!!! 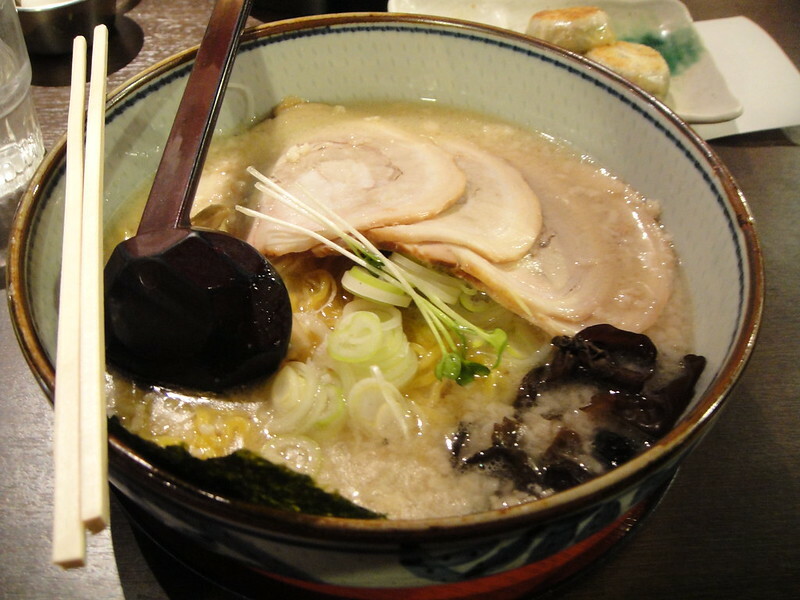 I chose to have ramen again and this time I chose Shirakaba Sansou Ramen(白樺山莊). This tasted a lot better than the one I tried on the first day in Sapporo. From the noodle to the broth, it was better in every way. boyfriend tried the Miso pork ramen. It was a little oily but acceptable and it wasn't too salty. Mine was the salted pork ramen as I am not a big fan of miso ramen. 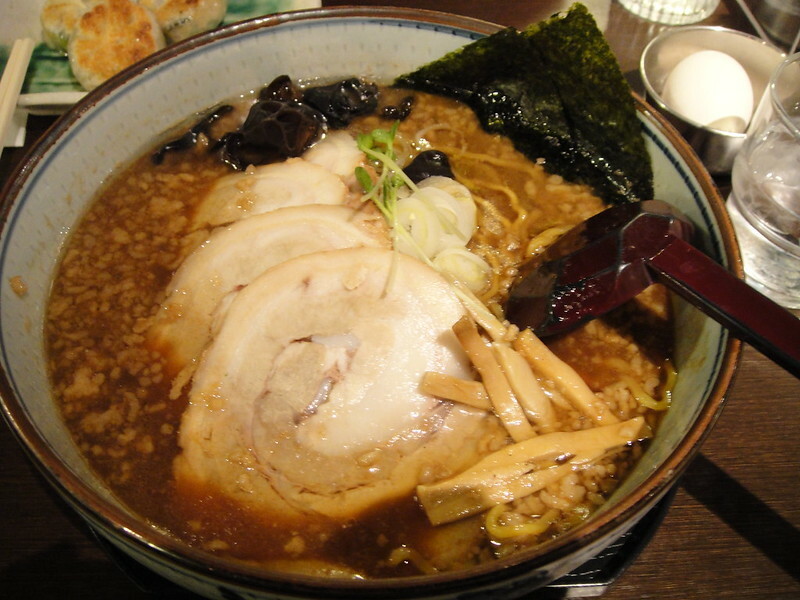 Surprising to find 4 pieces of pork in the ramen as most places normally only give you 2 pieces. We also got the chinese style dumplings. It was good but nothing too special.